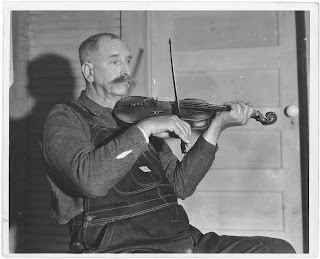 Some of the best old-time country music came from the great commonwealth of Virginia, where the Appalachian folk music roots ran deep and innovative musicians were plentiful. That combination of tradition and creativity would soon bring country music to a turning point with a historical recording session just over the border in Tennessee. In 1927, the Victor record label conducted two weeks of recording sessions in Bristol, Tennessee. Twenty-six songs were recorded between July 25 and August 5, and these “Bristol Sessions” have since become the stuff of legend. Among the other artists to record, Victor managed to discover two acts that would utterly change the course of country music: Jimmie Rodgers from Meridian, Mississippi and the Carter Family from Maces Spring, Virginia. Up to this point, the “hillbilly” moniker really had done justice to the kind of raw, unsophisticated music that had been recorded. But these two acts would change all of that, with their emphasis on vocal precision, beautiful harmonies, and in the case of Rodgers, a knack for showmanship. Modern country music had just been born. “Bury Me Under the Weeping Willow” was one of six songs the group recorded at the Bristol Sessions, and probably the most beautiful of that bunch. A.P.’s voice is more prominent here than it would be in future recordings, and the overall effect is somewhat more raw than what they would become known for, but even here you can hear the trademark precise, simple harmonies that would influence generations of country artists. Also worth noting is Maybelle’s unique guitar style, which would also become widespread in the country music community. Listen to this “Carter picking” between the verses and note just how warm and dynamic it sounds. Singing and playing like this had simply not been captured on record before, and now that it had, the rules for country music had been rewritten. Virginian Moran "Dock" Boggs is an often-overlooked figure in the history of country music, but a very important one nonetheless. While his voice isn’t particularly strong, and his banjo playing isn’t particularly groundbreaking, he has a unique style that is almost hypnotic to hear. “Country Blues” and “Sugar Baby” are his two most well-known songs and they are exceptional examples of his unique style. Listen to these songs and you will immediately feel the strong influence of the blues. Here is a lone voice, self-accompanied and singing a poignant song. He even picked his banjo in a manner reminiscent of the local Piedmont blues guitar style, rather than the “clawhammer” style used by most banjo players. “Sugar Baby” is slightly less bleak, if only because heartbreak is the only sorrow. He sings of a love that didn’t last, saying: “All I can do / Said all I can say / I will send you to your mama next payday.” Again, Boggs’ voice is far from perfect, but that is a big part of its charm, and it allows him to express a depth of longing and regret with each syllable. 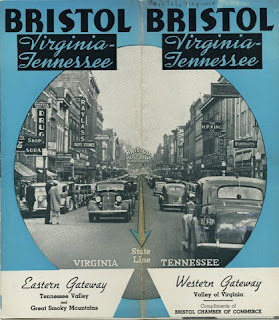 While the Carter Family and Dock Boggs were blazing new trails, most of the country music coming out of Virginia was still traditional string band mountain music. 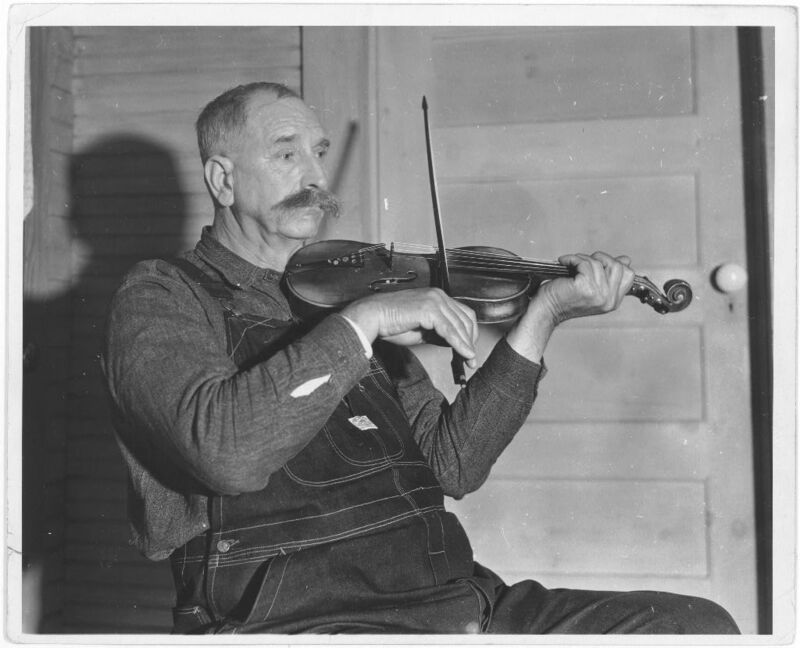 Although they were never full-time professional musicians, the Ward family was one of the most highly regarded throughout the Blue Ridge Mountains, and made several recordings throughout the years in various configurations. 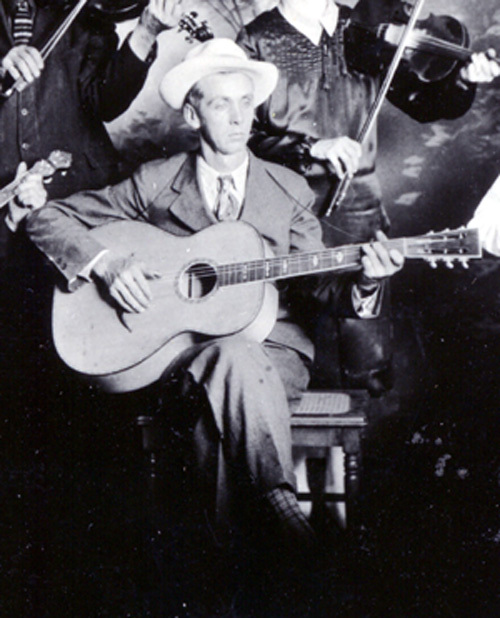 Davy Crockett Ward was the family patriarch and a fine fiddler, and in 1927 he made his first recordings with three of his sons – the talented Fields Ward on guitar and vocals, plus Sampson on banjo and Curren on autoharp. The excellent “Sugar Hill” was one of those records, and it shows just how lively and celebratory this kind of family music could be. The lyrics are seemingly unrelated snippets, cobbled together and delivered with a mischievous wink: “They say she got mighty sick / And what do you reckon ailed her? / Drunk three quarts of sugar top / And then her stomach failed her.” Between the brief verses, the family plays with gusto, and while there’s nothing in particular about their playing that stands out, it is an entertaining and addictive romp. Ernest V. Stoneman was one of the best of the old-time country artists, and was instrumental in helping organize the 1927 “Bristol Sessions” that revolutionized country music. “The Unlucky Road to Washington” recounts the story of President William McKinley’s assassination in Buffalo in 1901. It was first recorded by Charlie Poole (as “White House Blues”) in 1926, and has continued to be recorded many times since by other country and bluegrass artists. Stoneman first recorded it in 1927, and then re-recorded it in 1928 in the excellent version featured here. This is a well-crafted song that effectively tells the story of the assassination and its aftermath from multiple perspectives. Despite the grim subject matter, the string band and harmonica keep the melody quite fast and upbeat. Stoneman’s vocals are strong and his delivery matter-of-fact, never maudlin: “Roosevelt’s in the White House / He’s doing his best / McKinley in the grave yard / He’s taking his rest.” Historical songs can tend to be dry, but this one proves quite entertaining. After their revolutionary first sides for Victor in 1927, The Carter Family returned to the recording studio in 1928 and recorded what would become two of their most cherished songs. The group’s songs tended to paint pictures of woe, but “Keep on the Sunny Side” contains what is perhaps their most hopeful message. This rosy outlook is further reinforced by Maybelle Carter’s beautiful, bouncing guitar accompaniment. However, while the voices are not exactly gloomy, neither are they bubbling over with enthusiasm. As is perhaps fitting given their hard, mountain community upbringing, even the heights of joy stay well-grounded. Note how much stronger Sara’s lead vocals sound here compared to their Bristol output. A.P. and Maybelle provide wonderful harmony, but Sara’s distinctive voice is now brought clearly and convincingly to the foreground. 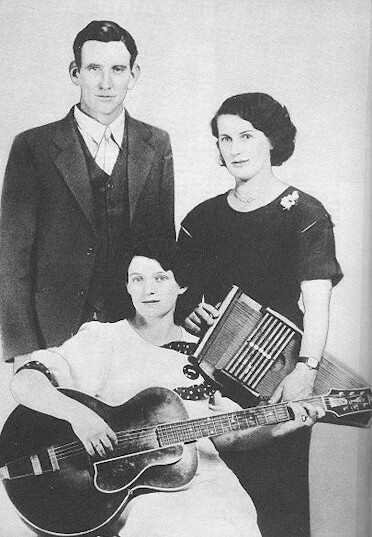 “Wildwood Flower” is hands-down the Carter Family’s most beautiful song. Despite the fact that the group is usually known for its harmonies, Sara sings this solo, and it is exactly what the song calls for. Her lone voice is able to soar above the gorgeous melody Maybelle picks out on guitar, and expresses a much more dynamic range than we normally hear from her. The effect serves to perfectly capture the narrator’s sad longing for the boy who once called her his “wildwood flower,” but left her behind in the end.